Patients are more engaged in their healthcare than ever before, and that's a good thing. As part of that process, patients often research their symptoms before seeing a doctor, seeking out information on Google or WebMD, reading health articles and watching health-related stories on TV. Unfortunately, often they come in with an incorrect self-diagnosis and expectations for treatment that are out of sync with evidence-based best practices for quality care. Patients who use Google search or WebMD to self-diagnose tend to assume the worst or end up with the wrong diagnosis. For example, a patient who came to me with a rash was convinced that it was caused by diabetes, and she was terrified. It turned out the rash was a symptom of contact dermatitis caused by a reaction to a necklace. When I told her, she was so relieved that she jumped for joy! Another challenge is that patients often expect treatments that clash with evidence-based quality measures. For example, according to Center for Medicare & Medicaid Services (CMS) Physician Quality Reporting (PQRS), bronchitis should not be treated with antibiotics. Yet patients have come to expect an antibiotic prescription and are upset when they do not get one. Another example is CT scans. The metrics around CT scans limit their use to cases that meet specific criteria for headaches and head injury, but patients may leave the ER feeling dissatisfied if they don't feel that sufficient diagnostics have been run. In today's patient-centered environment, emergency department (and other) physicians need to focus not only on delivering quality care and lowering costs but also on ensuring patient satisfaction. Patient trust is important, not just in terms of survey results and reimbursement but also in terms of better outcomes, because patients who trust doctors share more information. So how can doctors make the right clinical decisions when those decisions conflict with patient expectations? I've found that effective communication can enable hospitals to provide care in line with medical research and regulatory metrics and allow doctors to provide the best quality care, while also helping to ensure that patients leave their hospital visit feeling satisfied. For example, a mother came in with her 3-year-old child, who had a stuffy nose. The mother had Googled the symptoms and decided that her child had a sinus infection, so she wanted antibiotics. In order to ensure that she was satisfied with her child's care, I had to take the time to explain the differences between viral and bacterial infections, and also educate her about the fact that a child doesn't have a frontal sinus until the age of seven. Since she obviously trusted Google as a source of healthcare information, I used a Google search to show her that what I was telling her was valid, and I took the time to answer her questions. I usually joke with patients and call them "Google doctors." In the end, she trusted my explanation. 1. Educate patients. Explain the criteria needed to advise certain treatments. Use simple, easy-to-understand language and explain medical terms. 2. Use third-party validation. Share the medical organizations or regulatory bodies that support your recommended treatment and yes, even reference Google. 3. Gain patients' trust. Answer each patient's concerns and questions to make sure they understand the reasons for your recommended treatment and are satisfied with the care. 4. Don't rush, sit when possible and pause. Let the patients know you are there for them. 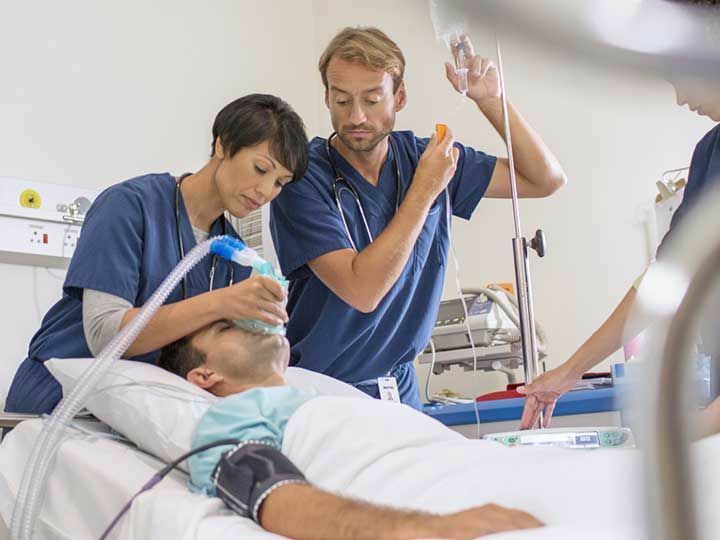 Emergency department physicians need to practice within quality care standards, which don't always match patient expectations. Take time to give patients a context for treatment decisions and build their trust. Time is a scarce resource in any emergency department, but educating patients and helping them understand the validity of your treatment decisions will return a big payoff in patient satisfaction and better outcomes.